Felix A. Thomas | Staff | NSSPlus, Inc.
Felix A. Thomas (President, CEO and Founder) brings more than 40 years of experience to NSSPlus. 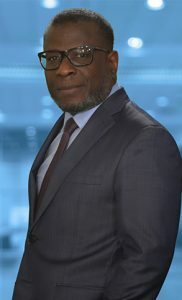 He has been an entrepreneur since 1988, and has extensive technical, management, and consulting experience in Healthcare IT, Information Technology, and Cybersecurity. Mr. Thomas has led NSSPlus for over 15 years. Starting NSSPlus with a single employee in 2001, Mr. Thomas has grown the company into a thriving contractor with over 200 employees. He continues to run NSSPlus with a relentless focus on process improvement and risk management, successfully guiding the company through its ISO 9001:2015 and ISO 27001:2013 certifications. Under Mr. Thomas’ leadership, NSSPlus has won contracts from high-profile customers such as the Defense Health Agency, GSA, Federal Emergency Management Agency, SPAWAR–Atlantic and the Defense Contract Management Agency. Mr. Thomas earned his Bachelor of Science in Computer Science from New York Institute of Technology and worked on his Master’s Degree at Golden Gate University in Mountain View, California. He has been a Certified Information Systems Security Professional (CISSP) since 2001.